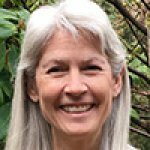 Kathleen Macferran is a CNVC Certified Trainer and offers Nonviolent Communication (NVC) training to schools, community groups, churches, hospitals, families, correctional officers and prison inmates. She is one of the trainers for the Freedom Project, an organization that strengthens our community through supporting the transformation of prisoners into peacemakers. In addition to working with the Center for Nonviolent Communication (CNVC), Kathleen was the music director for the Rainier Chamber Winds for 16 years. Kathleen views the music ensemble as a wonderful metaphor for social organization since the wellbeing of one individual clearly depends on the wellbeing of all. Kathleen offers training in concrete skills of nonviolence leading to reconciliation with ourselves, our loved ones and the community.